Maison is located in between two rows of chic fashion brands, donned with a see-through glass framed with classy gold linings that’s hardly unnoticeable. Upon entering, you’ll notice a table filled with assorted pastries such as quiche and danish fresh out from the oven, enticing you with their aromatic pastry scent while you make your way to your comfortable velvet cushion seat, ready to order. 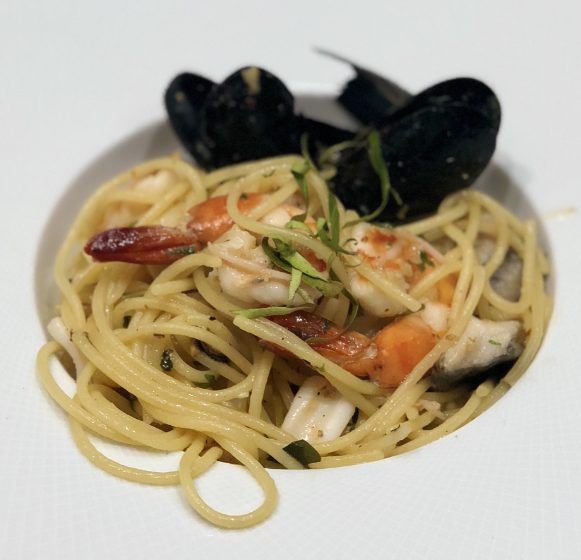 In contrast to other Seafood Aglio Olio, the ones in Maison took this Italian dish and twist it with a thai touch by incorporating kaffir lime that gives the dish an aromatic tom yum savoury and tangy flavour. The pasta is also tossed together with prawns, mussel, fish cube, squid, olive oil, garlic and chilies for extra depth of flavour. Simply a great clean dish for an elegant date over late night coffee. One of Maison’s best seller, the Beef Burger & Chips is a perfect sized dinner dish that is made for those who crave for burgers without the intention of overdoing it. 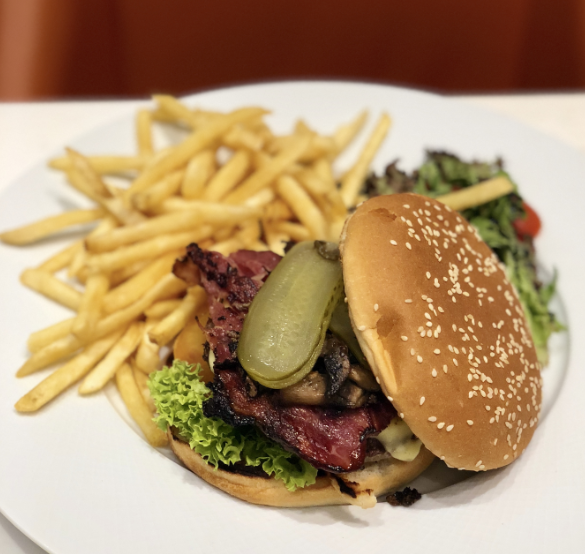 This burger dish creates an explosion of flavours with it’s toasted sesame buns, juicy and tender seared beef patty, beef bacon, melted cheese, mushrooms and gherkin (a.k.a pickles) for that tangy crunch. It’s also served with crunchy shoe-string fries. Maison houses special sandwiches that is hardly seen in the Pavilion KL scene for dinner. 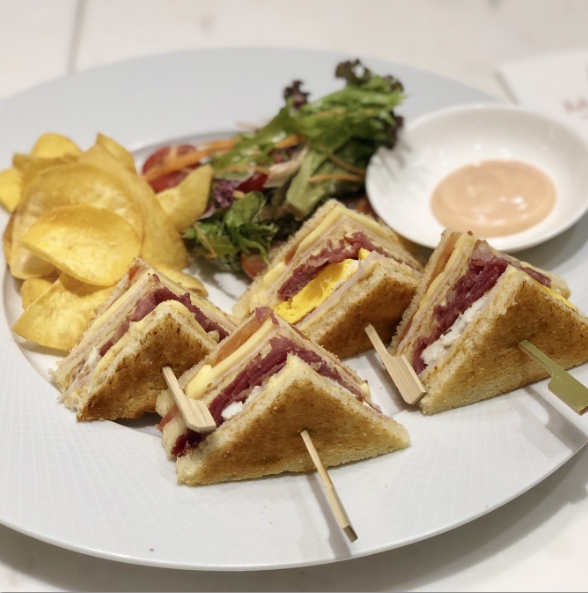 The Club Sandwich got us shooked as it’s the perfect dish for light eaters to share. It consist of beef bacon, eggs, tomatoes and cheese - simple yet memorable, served with a side of seasoned tapioca chips. While chilling at Maison, order up some of their classic caffeine concoction to slowly sip the night away. 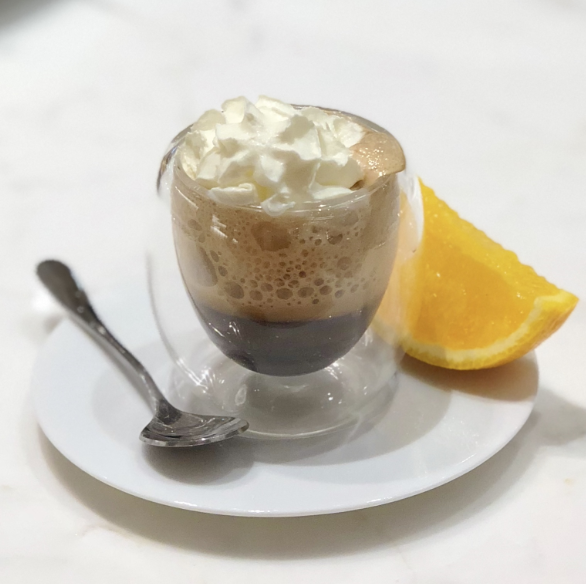 This Caffe Medici is made from double shot espresso extracted over chocolate syrup and fresh orange peel, topped with whipped cream. This drink is said to be originated from a historic coffeehouse in Seattle that needs to be stirred prior to drinking to get the optimum balance of flavours that strong coffee lovers will adore. It gives a sweet entry and leaves a pleasant coffee aftertaste. 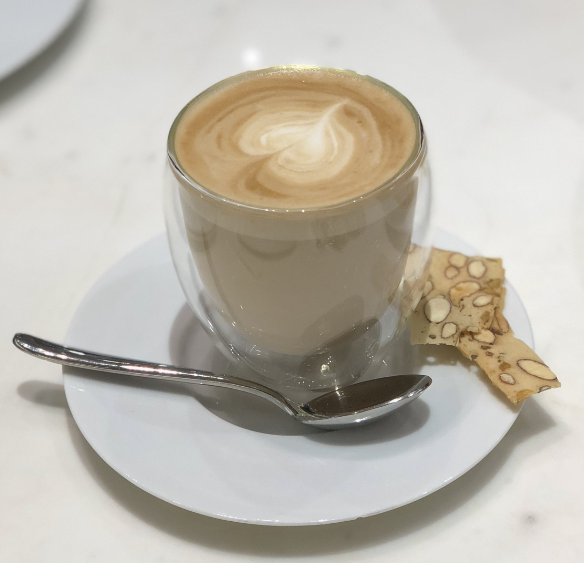 One of Maison’s top favourites, the Kathay is top grade Lavazza coffee skilfully blends with coconut milk and foam, creating a well-balanced mild coconut coffee concoction that is super fragrant and mind-soothing, a nice coffee blend for light-coffee takers. It’s like a palatable cup of coconut latte. 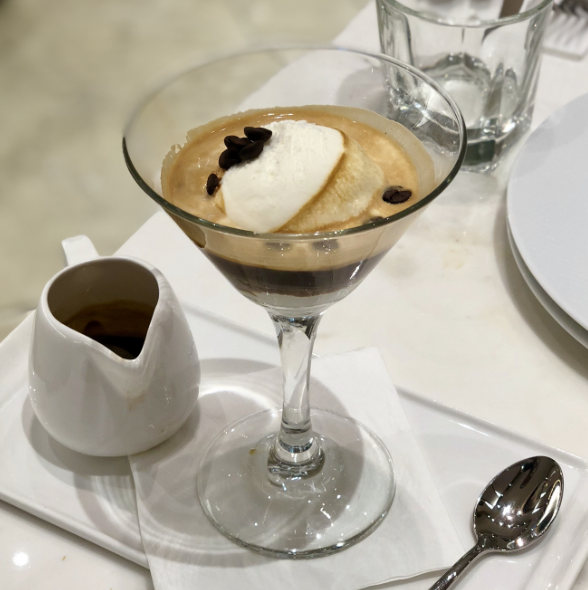 Maison’s Classic Affogato can pass a dessert and caffeine drink as it’s a strong mix of espresso topped with sweet vanilla ice cream to tame the espresso. The best part, a sprinkle of crunchy coffee beans for that extra texture and flavour. It’s not everyday you get to eat a whole coffee bean. 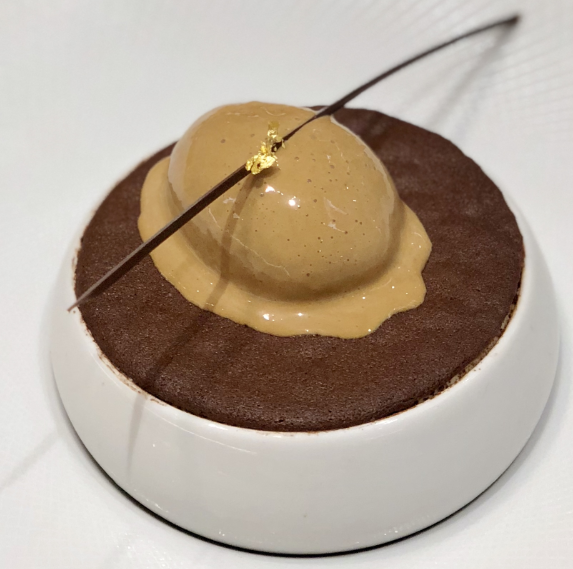 Maison ace it’s dessert in the most mischievous yet elegant way shown in their top creation - The Tiramisu. This tiramisu is layered in an artistic bowl completely opaque. The only thing that can be seen visually is a crackling layer and Kamarina smooth gelato on top. The real surprise comes when we scoop it for the first time, where the layer cracks into crispy fragments and a thick creamy layer of the tiramisu is revealed... leaving the tastebuds wanting more as it’s a mix match in heaven with the alcoholic ice cream. The ultimate date dessert to seal the deal. 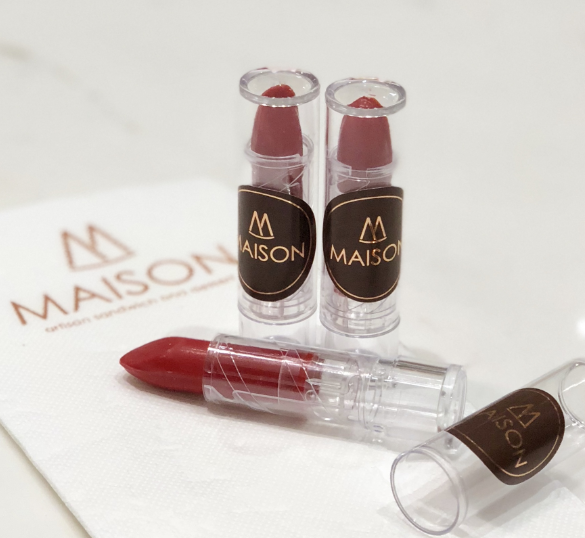 Maison is all about elegant creativity, especially when it comes to their desserts which they’ve created Lipstick Chocolate - a sweet white chocolate treat packaged to look like Lipstick that’s oh-so-insta-worthy and gift-worthy. Who knew you can enjoy a great date and get a unique treat at the same time right? Head onto Maison now.